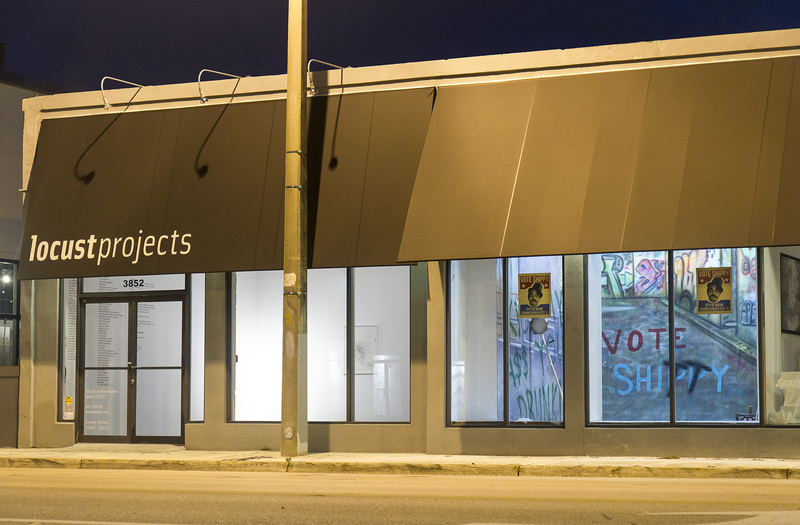 Locust Projects is pleased to present Vote Shippy, a site-specific installation and associated performance by Miami-based artist Clifton Childree. Over the past ten years Childree has produced a number of black and white slapstick films. The characters in these productions are played by an actor named “Shippy”; a persona adopted by the artist. Childree devised Shippy to be a Huey Long-type figure, based on the charismatic and controversial 1930s governor of Louisiana. 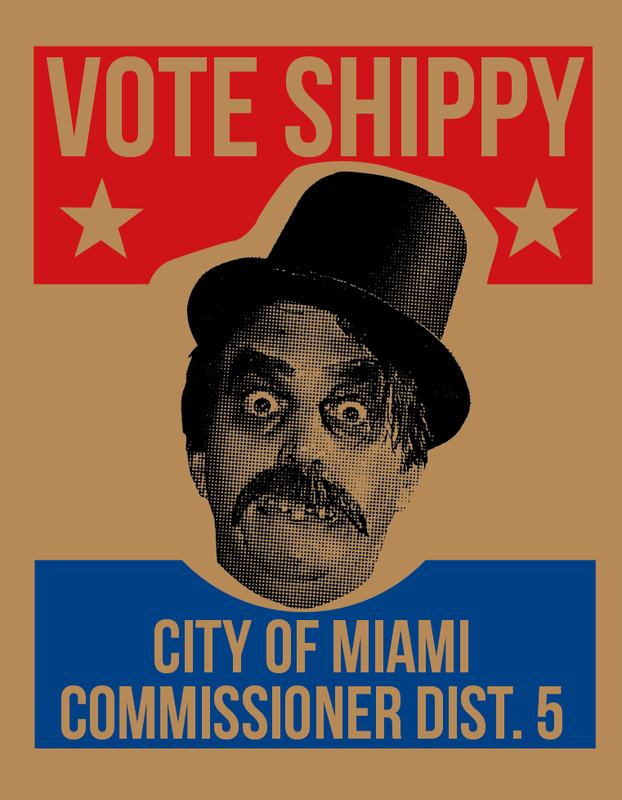 Childree plans to run for Miami City Commissioner, in the character of Shippy. For the next two years, the artist will be highly active within Miami’s District 5, learning Creole and hosting events, performances, and gatherings as Shippy to familiarize and immerse the character within the community. These performances and interventions will be documented and result in a silent film. The narrative will be based on the Shippy character's upbringing and his comically disastrous yet successful political race to the City of Miami Commissioner position. In association with this ongoing performance, Childree created an installation that was originally presented at Locust Projects’ Art Wynwood booth, and is now sited in Locust Project’s space one, facing onto North Miami Avenue. Using this space as a stop on the campaign trail, Childree will perform in character as Shippy on Friday April 1, utilizing this opportunity to promote his political platform and possibly perform a few songs on his washtub bass. Childree has produced a hand-silkscreened editioned poster to accompany Vote Shippy. Miami resident Clifton Childree is a filmmaker and artist. 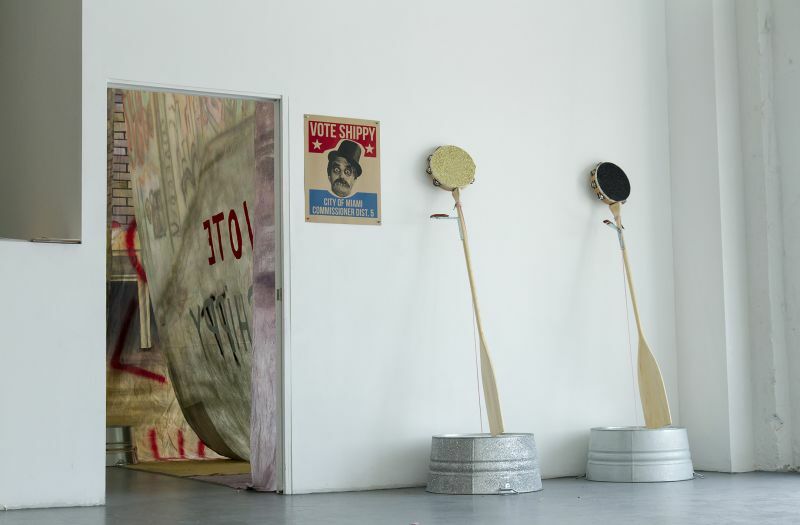 His recent solo exhibitions include Hilger Contemporary, Vienna, Austria; Kunsthalle Wien Project Space, Vienna; Emerson Dorsch, Miami; and Pulse Art Fair, New York. He has been the recipient of numerous grants and awards including the Hilger Award; Best Experimental Short and Best Camera Aesthetics for She Sank; and Best Feature and Best Sound Design for The Flew. Recent press includes Art in America, The New York Times, the Miami Herald and Art Pulse, Austria. Childree mounted a large-scale immersive installation at Locust Projects in 2007.